Ford Motor Company is in serious negotiations with Volkswagen AG to examine areas of possible collaboration. The talks are said to include potential alliances around sharing technology, small cars and regional collaborations in Europe and South America. Talks between the two automakers are no longer speculative. Thursday Ford Chief Financial Officer Bob Shanks confirmed the talks to Bloomberg. “We’re having a very broad set of discussions about how we can help each other around the world,” Shanks stated in the interviews. Shanks went on to state that talks were still very broad-based and not limited to one specific type of collaboration. Ford is also in talks with Mahindra & Mahindra Ltd. about deepening its current alliance with the company. Those talks are said to focus on alliances to develop vehicles for developing markets, such as India. The talks between Ford and other automakers comes just as the company’s stock recently soared 10 percent. Ford is currently undergoing a global restructuring led by CEO Jim Hackett, who recently backed away from previously set margin targets for 2020. It’s largely believed the company will have to turn to partnerships in an effort to share costs, specifically expensive costs such as new technologies and electrification. Hackett has already hinted publicly that partnerships will be part of the restructuring. Recently the chief executive said the company would be speaking soon about strategic partnerships. 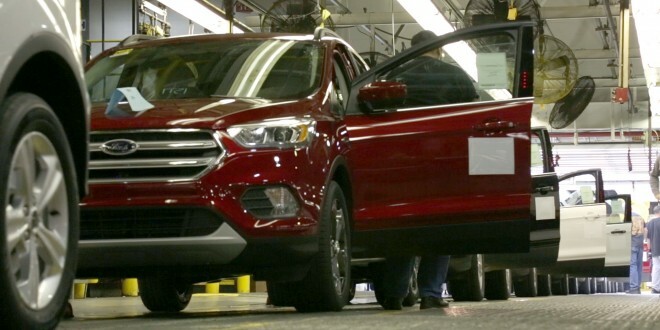 Overall, Ford’s restructuring bill is estimated to come in at $11 billion. A strange marriage, if it pans out. What's odd is that the most expensive R&D items in the industry (electrification); both automakers are already deep into their own investments. I believe it will be more like RNMA's and Daimler's partnership. Makes me wonder if Ford might start offering cars again if it can share development costs with others. There are worse things I can imagine than a Golf-platformed Focus!